Got $30,000 to spend but can't decide on a new boat? 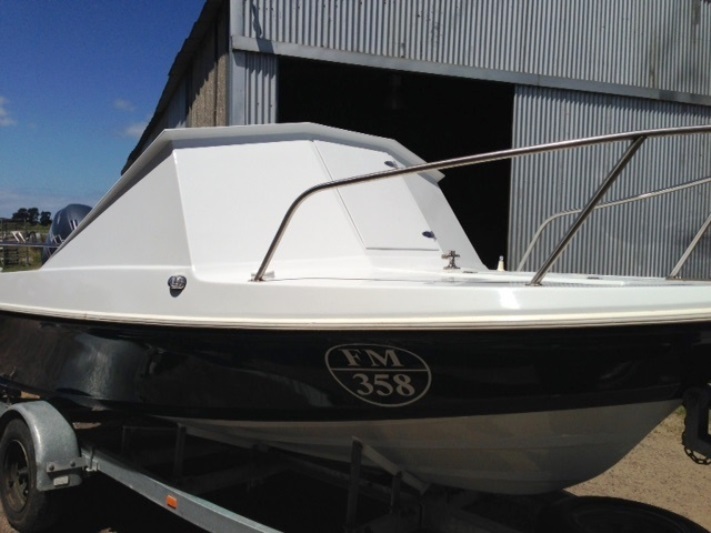 Why not restore a classic 1976 Caribbean Invader project boat. Frankie Natoli had $30,000 to spend on a 5m boat, but couldn’t find anything new that caught his eye. 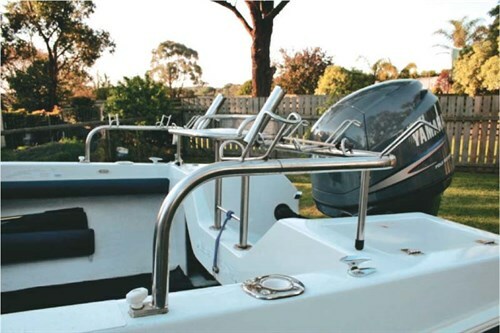 Instead, he found a 1976 Caribbean hull in TrailerBoat magazine which perfectly suited his squid and snapper fishing in Port Phillip and Western Port, Victoria. 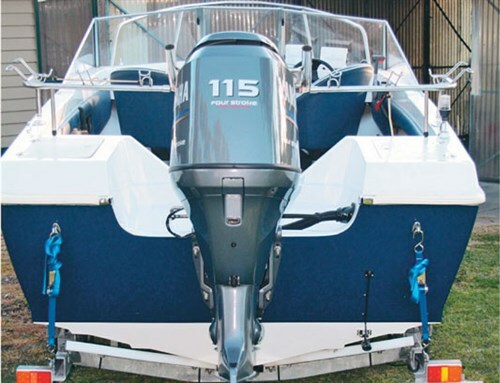 This month, Frankie explains how he floated his perfect boat! 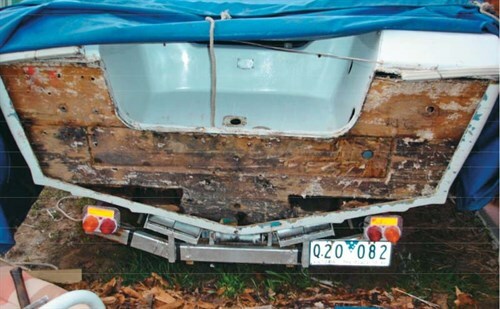 The true extent of the damage was revealed when the fibreglass came off. 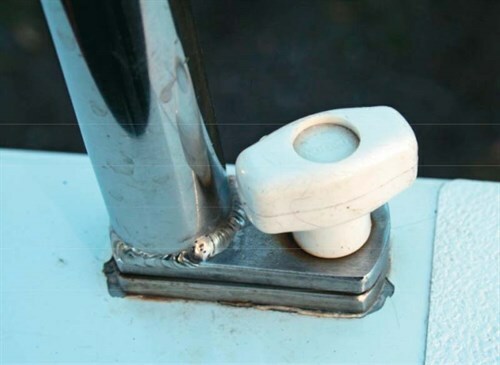 It was every boater’s worst nightmare — wood rot! Thankfully, none of the stringers were affected. Two weeks later the transom was fully replaced with the help of a fibreglasser. Note how the height of the enginewell was raised to fit a larger motor and protect the boat in a trailing sea. 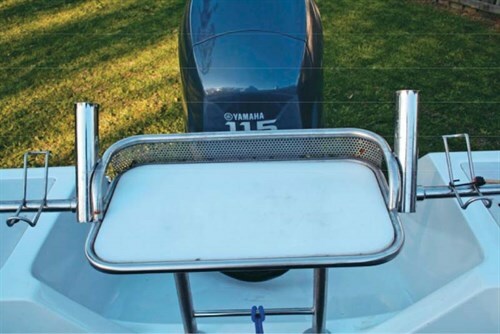 Modern LED lights also proved a reliable update for the trailer. All timber was removed for a modern, maintenance-free finish. The back-to-back seats were replaced with Rae Line swivel seats. Carpet was replaced with washdown black rubber from Clark Rubber ($150). New instruments finished the new look, along with a handy glovebox from JV Marine ($45). 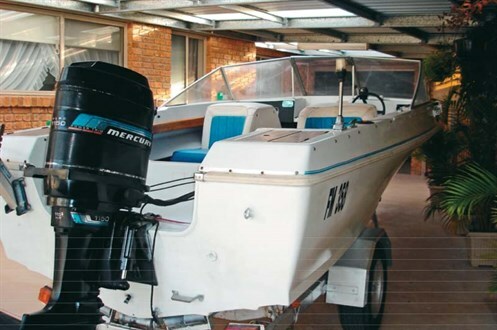 The ’70s model 115hp Mercury two-stroke outboard motor was traded in for a 115hp Yamaha four-stroke. 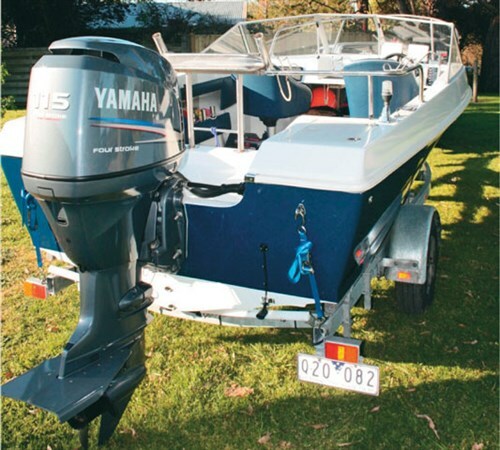 The Yammie is quieter, more reliable, efficient, and powerful, although it’s heavier at 188kg. It cruises nicely at 24.2kts (45kmh), with a top speed of 34.5kts (64kmh). 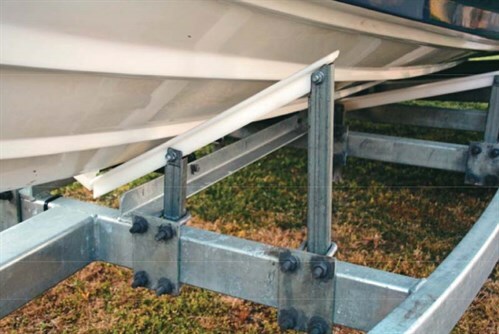 Frankie used his cabinet making skills to build a removable stainless rodrack and baitboard, as well as his home-made trailer with Teflon skids and keel rollers to support the boat’s weight. Update: after completing his initial project, Frank added this magnificent Wavebreaker. Frank was also behind the wavebreaker on Trade-a-Boat's Haines V19R project boat. 1. 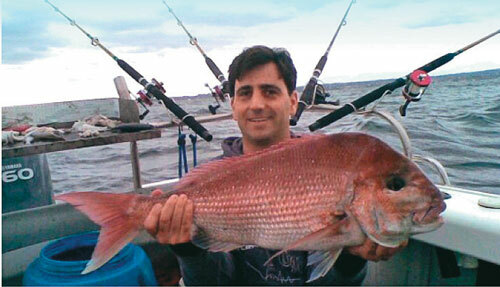 Research what you want to do with your boat, be it bay fishing, offshore fishing, diving, and so on. 2. 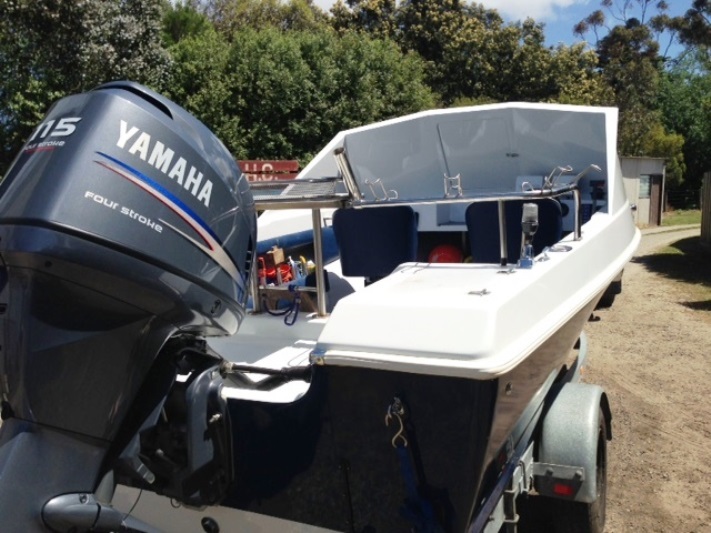 Test as many boats as you can and speak to some old timers about good hulls to start with. 3. Establish a budget — then add 10 per cent! 4. Think about what skills you can use — and those you will need help with. Don’t be afraid of painting, sanding or even fibreglassing. Practise on inconspicuous areas. 5. Be prepared for nasty surprises, but also remember that almost everything can be fixed with some elbow grease. 6. Ask the experts for their advice. The right attitude will get you all the help you’ll ever need – and maybe even a new fishing mate or three! Originally published in TrailerBoat #267, February 2011. Why not subscribe today?